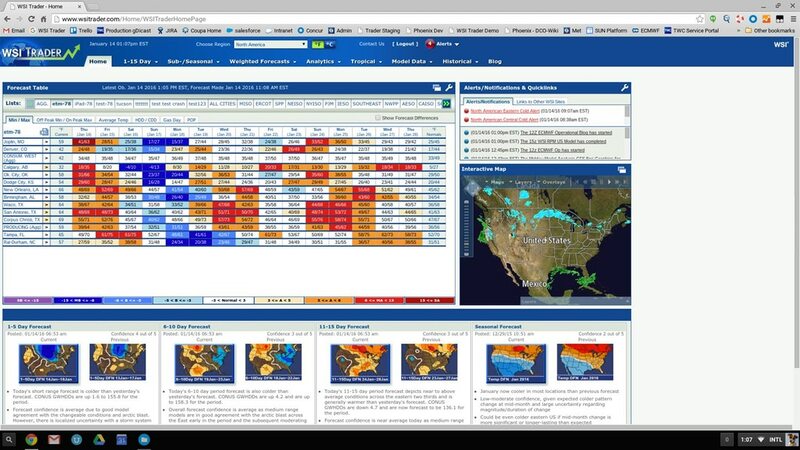 The Weather Company Energy Trader provides the only user-friendly, comprehensive weather decision support platform providing a global view of the latest 15-day forecast plus dynamic alerts and notifications. An average-sized trade floor can generate $800K more per year by using this innovative platform. Quickly view the latest forecast from The Weather Company, and see how it has changed. 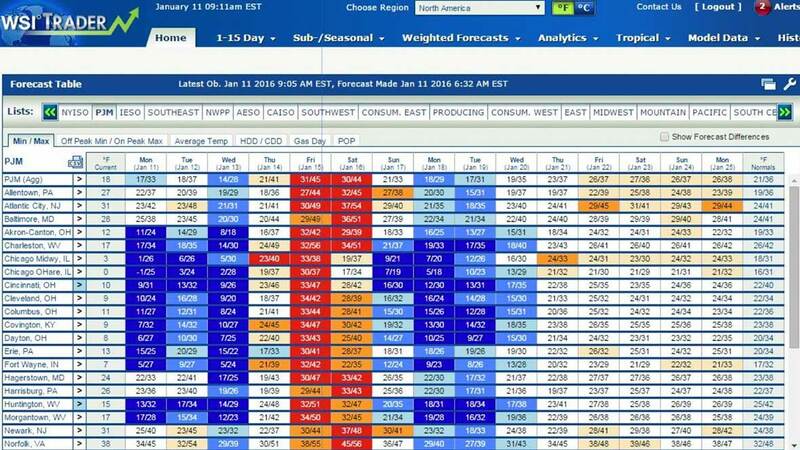 Use a full two weeks of forecast data, providing 15 days of weather patterns, allowing for better quantification of demand in weeks two and three. Visualize easy-to-read, weighted model forecasts for each power/gas region and country in both tabular and graphical formats.